Miami Spice returns this summer with nearly 250 participating Miami restaurants offering prix fixe lunch, brunch and dinner menus at a reduced price. From Aug. 1 to Sept. 30, locals can enjoy three-course lunch or brunch for $23 and dinner for $39, making it the best time of the year to drive down to Miami and experience the Magic City’s restaurant hot spots without breaking the bank. More than 50 restaurants are new to Miami Spice, including some of the most popular Miami eateries to open in the past year, such as vegan hot spot Planta, Japanese restaurant Azabu and the much-talked-about Amara at Paraiso. Whether it’s for the scenery or the scrumptious eats, here are 10 Miami Spice restaurants that are worth the trip from Fort Lauderdale. Where else can you find a lobster dish on the Miami Spice menu, much less a selection of four different luxurious lobster dishes, alongside other seafood delicacies and substantial steaks? Lobster Bar in South Beach doesn’t skimp out on the seafood. 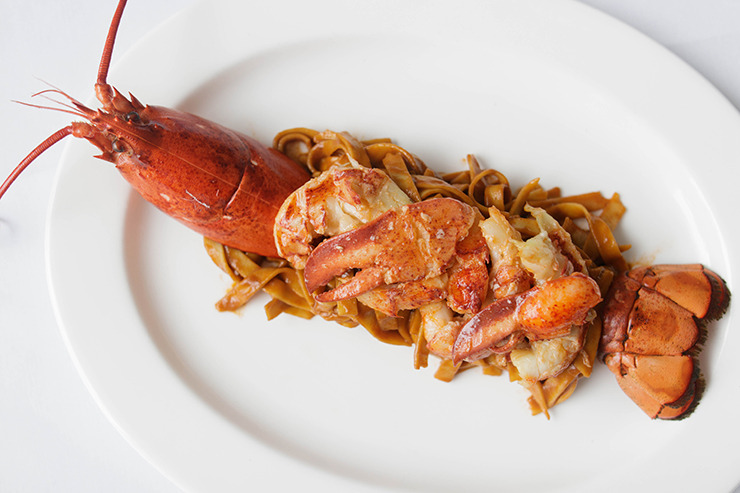 Any guest can order up to two lobster dishes each—as an appetizer and entree (sorry, there’s no lobster-infused ice cream for dessert)—easily giving you an instant bang for your buck. Opt for the best of both worlds with the surf and turf lightly fried lobster tail and petite filet mignon, or try the 1.25-lb. lobster-stuffed lobster with drawn butter and lemon. Appetizers include chilled jumbo Gulf shrimp, grilled Mediterranean octopus and lobster bisque, while the classic vanilla ice cream-filled profiteroles are a surprisingly delightful way to end your generous meal. 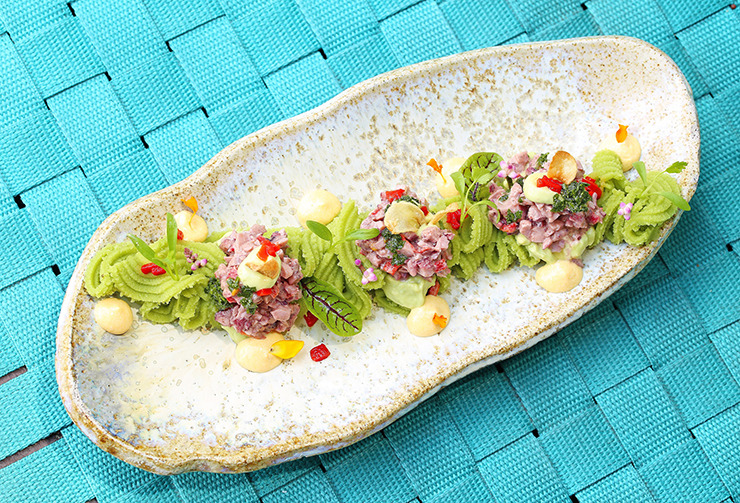 One of Miami’s top restaurants, known for its waterfront views on Brickell Key, La Mar serves up some of the finest ceviche in the city and is always a refreshing Spice option during the heat of summer. For lunch, start with a trio sampler of ceviche, layered potato causa and anticucho, or at dinner, enjoy smoked tiradito with a classic leche de tigre, and choose between entrees of duck legs cooked in sour orange and aji amarillo or steamed fish fillet with Chinese-Peruvian flavors. Visit for Saturday lunch, or sunset dinner, and soak in the Miami scenery. Alter is the Wynwood foodie haven that put chef Brad Kilgore on the map, and this is the first year the James Beard Award finalist offers a Spice menu for dinner at his restaurant. 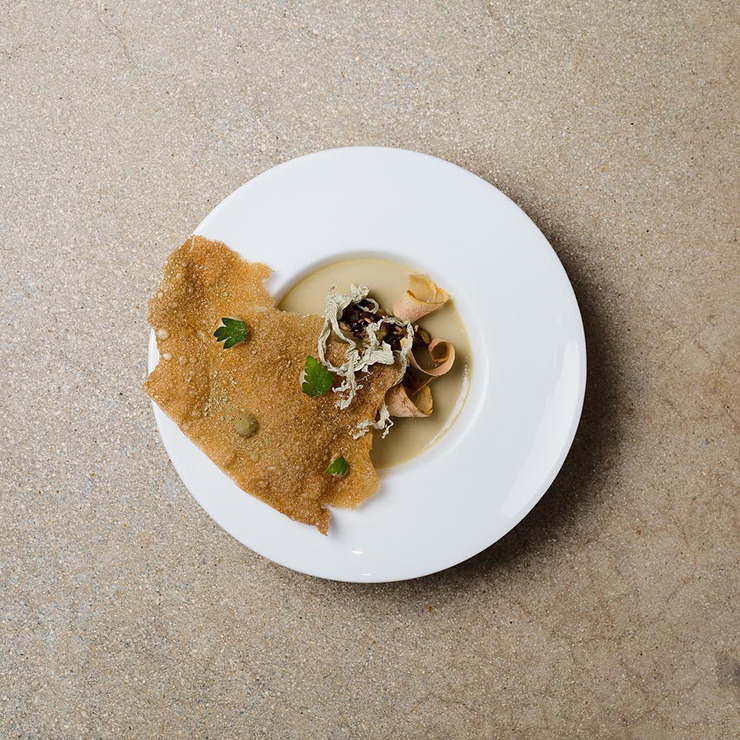 As Alter has grown in popularity to offer five- and seven-course tasting menus upwards of $75, a three-course Spice option for $39 to one of the hottest restaurant tickets in town is definitely one you can’t miss. Expect artful plates and exotic dishes that have been some of Alter’s “greatest hits” over the past three years, including grouper cheek with black rice, rabbit udon with porcini sabayon and duck breast grilled over pine cones (that might not sound like it makes sense, but somehow, as always, Brad Kilgore makes it work). You may be familiar with famed chef Daniel Boulud from his popular eatery Cafe Boulud in Palm Beach. The prolific restaurateur recently transformed his former Miami restaurant into a new coastal Mediterranean concept called Boulud Sud, and you can try it during its first Miami Spice season for lunch or dinner. The best part? You’ll want to keep returning, because Boulud Sud will be changing its Spice menu every two weeks, to give diners a chance to sample even more. To start off August, enjoy a menu full of fragrant spices and Middle Eastern flavors, from harissa-spiced lamb to grilled za’atar salmon, or branzino a la plancha. Even the desserts are bursting with distinctive Mediterranean ingredients, such as mango and cardamom meringue and lemon-lavender cake with strawberry prosecco sorbet. Your croquetas might come served inside a shoe, but don’t be alarmed. It’s all part of the typical José Andrés experience, where the award-winning chef’s whimsical genius comes to life in the form of food. 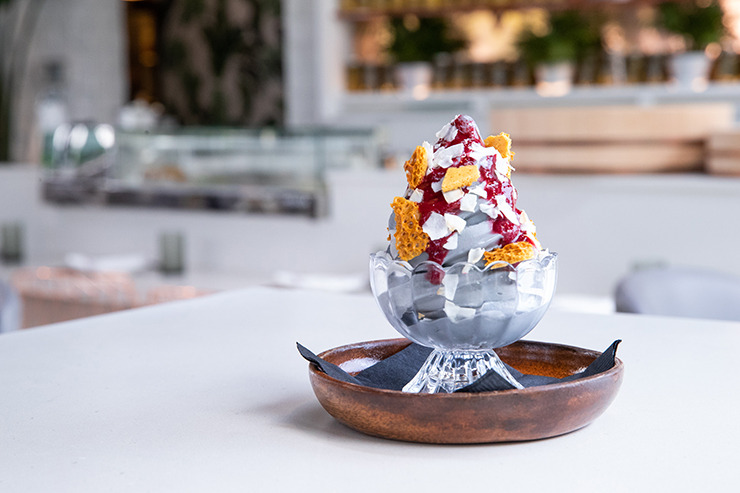 While sister restaurant Bazaar Mar opened last year to plenty of acclaim and was an instant Miami Spice favorite, this season we suggest returning to a staple and visiting (or revisiting) The Bazaar. 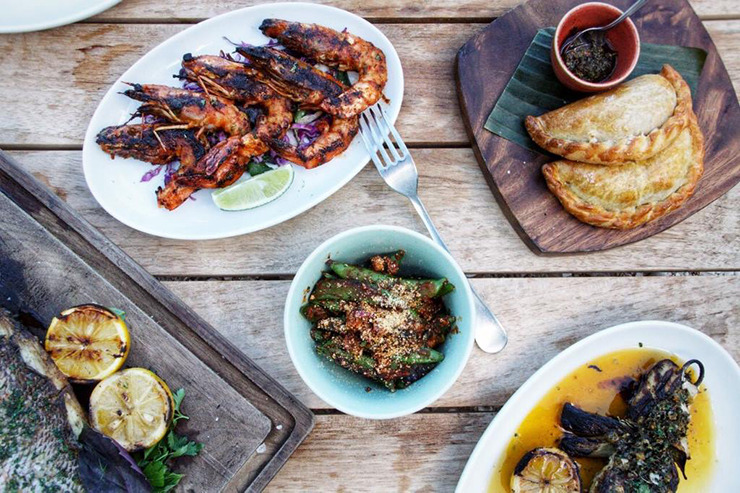 The best part of Spice at this Miami-inspired tapas restaurant is the sharing experience. 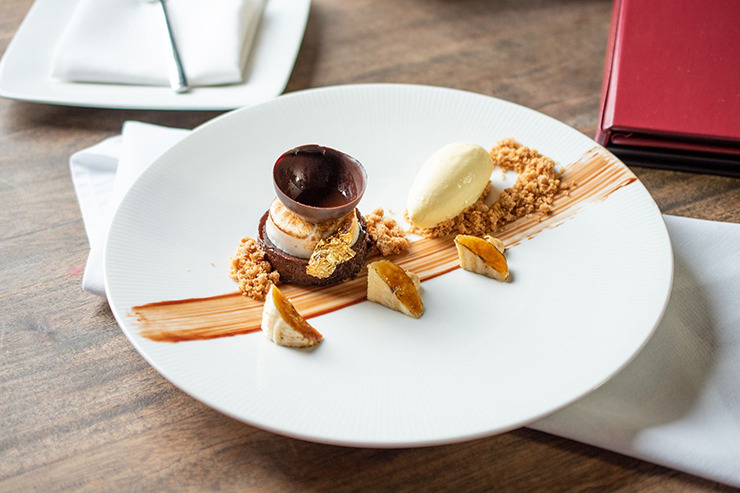 Instead of the standard app-entree-dessert, guests get to choose a sampling of dishes to enjoy. Try staples like the Chinese bao bun con lechon, yucca churros with peanut butter and Cuban coffee-rubbed churrasco or deconstructed Key lime pie and s’mores for dessert. 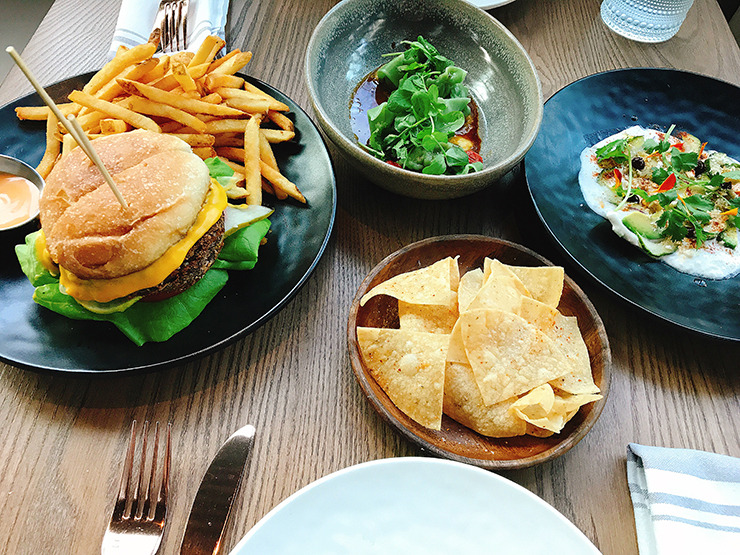 You’ll end up ordering around five dishes per person instead of three, which means if you bring a friend and choose wisely, you’ll get to try 10 José Andrés classics. Azabu is a new sushi restaurant and omakase den in the quiet South of Fifth neighborhood. 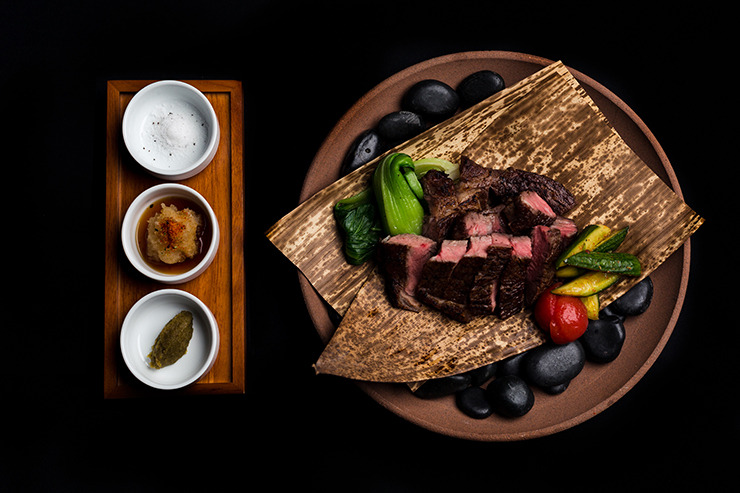 Given it was recently named the best Japanese restaurant in Miami, you can count on some of the freshest eats from the sea, as well as delicious robata grill options. At Azabu, your Spice dinner begins with an extra course—the chef’s choice of starter of the day—in addition to your usual appetizer selection, whether it’s grilled octopus with coriander mayo, roasted red and golden beet salad or the Japanese wagyu tataki with truffle ponzu sauce (this appetizer alone makes up $22 of your $39 prix fixe fee). Of course, an order of the sashimi bowl as your entree is a must at a sushi restaurant, but the 6-oz. skirt steak or branzino with umami, batter prepared on the robata grill, are delectable pairings if you’re sharing with a friend. For dessert, enjoy popular Japanese flavors infused into traditional sweet selections, such as matcha green tea cheesecake and yuzu Key lime pie. Come for the view, stay for the extravagant dishes like beef Wellington and Alaskan king crab ravioli. One of the most stunning restaurants on the Miami River, Seaspice is offering brunch, lunch and dinners menus for Miami Spice, giving diners plenty of options to enjoy the outdoors. 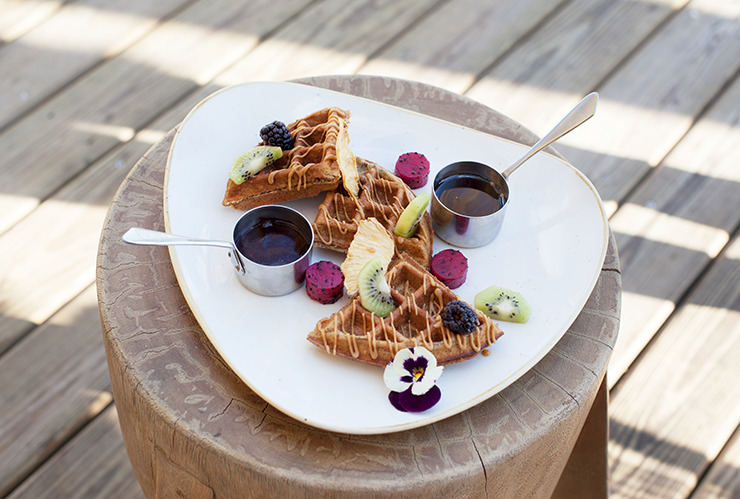 Brunch at Seaspice exemplifies the complete Miami experience by embracing its waterfront locale, so if you visit on a Saturday, enjoy brunch selections such as the power waffle with acai berries, short rib benedict, king crab croquettes and more. Prime 112 or Komodo may be the standard go-to Miami restaurant options for a celebrity sighting, but the latest hot spot is a fully vegan restaurant opened this past year by LIV Nightclub’s David Grutman. Planta is serving up a Miami Spice menu full of its plant-based favorites, all of which will surprise you with how true to the original they feel. Start with an appetizer of coconut ceviche and tortilla chips, or steamed mushroom dumplings bursting with umami flavors. You’d be wrong not to order the Planta burger as your entree, which rivals any beef burger when it comes to how full it’ll leave you feeling. But if you’re sharing with a friend, you also have vegan pizza, pasta or sushi to choose from. It’s a good thing Planta’s non-dairy ice cream desserts are light. The daily soft serve selection will likely be a black ice cream swirl made with activated charcoal, which also helps de-bloat your stomach after all that vegan goodness. Cafe Roval was practically created for date night. Dine in the backyard of a romantic bungalow, which was restored from a small historic 1920s coral rock building. 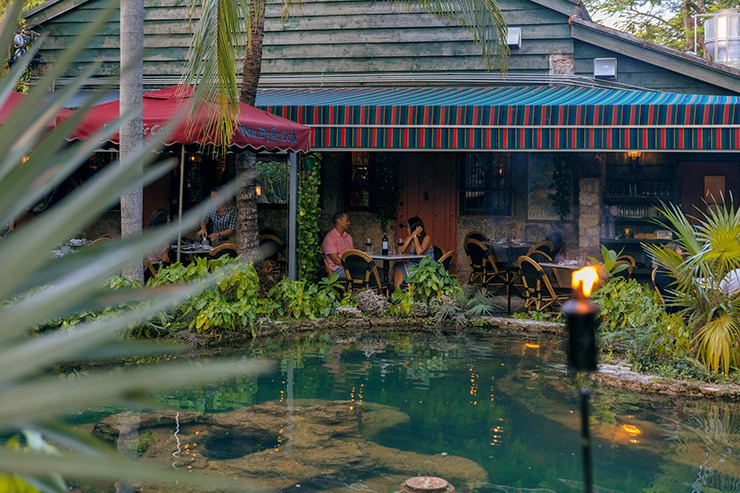 While the warmly lit venue feels cavelike on the inside, its enchanting garden with lagoons and landscaping out back make you feel like you’re dining in someone else’s home. 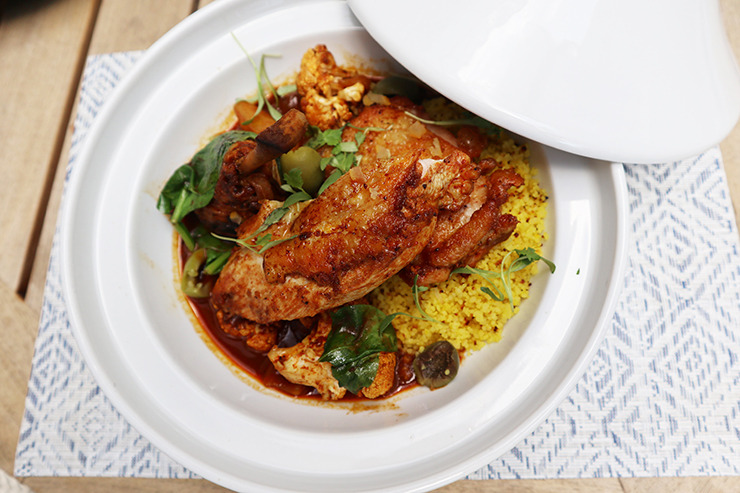 Cafe Roval’s Miami Spice dinner menu includes enticing Mediterranean plates, such as seven-spice lamb shank, Moroccan chicken and broccoli shawarma. Take in the lush surroundings, and take a bite of your broccoli shawarma. You won’t regret it. It wouldn’t be a trip to Miami without a Michael Schwartz restaurant, so why not try his newest? The award-winning chef designed Amara to be a “love letter to Miami,” with its focus on Latin dishes such as chorizo and empanadas, refreshing seafood and raw bar bites, and earthy wood-fire grilled meats and fish. Expect boldly flavored spices and sauces, brightened by local ingredients and clean, balanced preparation over an open flame. The Spice menu includes charred carrot and avocado salad, crispy flounder milanesa, arroz verde, chile-rubbed pork chops and more. You’ll also enjoy a mystical, magical view of Biscayne Bay from “the other side” (that is, looking out at the Miami Beach bayside skyline, as opposed to downtown or Brickell). While we rarely suggest ordering supplemental add-ons or going off-Spice-menu when it comes to these great deals, we won’t judge you if you order a handful of baked yucca cheesy puffs to start—they’re a bundle of light and airy, cheesy goodness that will warm your stomach and your heart.